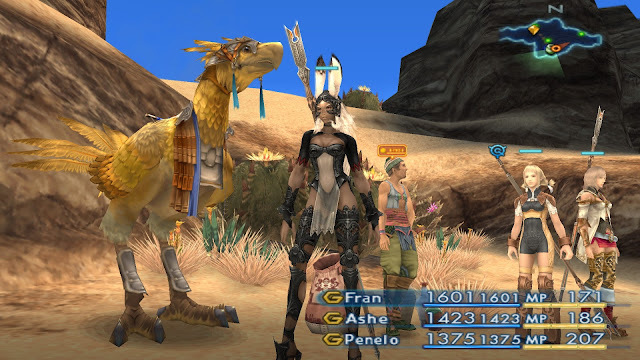 Home > Square Enix > Ten years after Final Fantasy XII; please, Square Enix, please can we have a HD remaster? 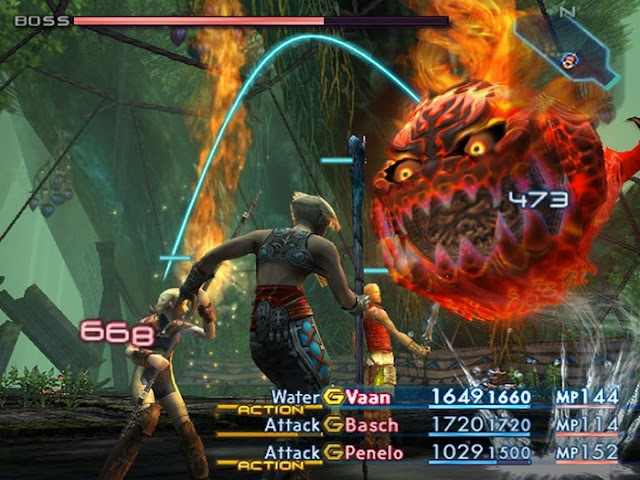 Ten years after Final Fantasy XII; please, Square Enix, please can we have a HD remaster? 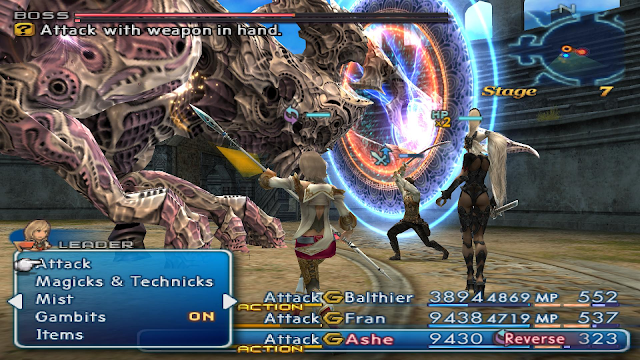 One of Square Enix’s finest games ever hit a real milestone this week; Final Fantasy XII turned 10. It’s one of Square Enix’s finest games, and equally it’s a real outlier in the series for many reasons, and one of the most obvious of them is that it is the only Final Fantasy game that is not available on a modern platform somewhere. 1) Final Fantasy XII is the one of the most progressive in the franchise. Think about it; this is a game set in a nation very much like something from a fantastic Middle East. The lead characters are mostly of what we would identify as ethnic minority background. The princess in this case is an incredibly empowered character, refusing to be typecast into the typical “damsel in distress” or “back line healer/ magic user” role – in this game Ashe was as believable as a front line fighter as she was in a support role, and at the time that was really quite a step forwards for the series. The plot certainly marked a significant step forward for the series too. 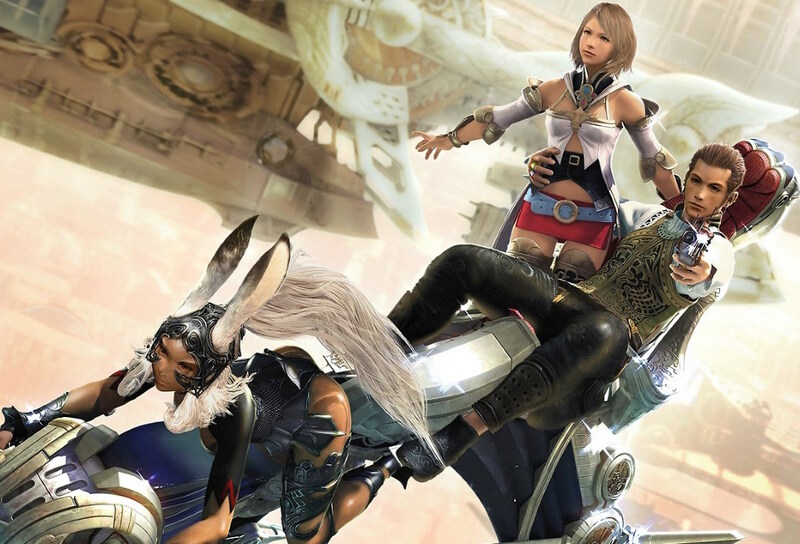 Less focused on high fantasy, romance, and pulp narratives, in Final Fantasy XII there were serious political undertones and a far more grand ambition behind the adventure. This is a narrative that would hold up remarkably well among the modern examples of the JRPG genre – and far better than even Final Fantasy X (as rightfully incredibly as that game was in its own right). Which has been remade for the new generation PlayStation. 2) The aesthetics are incredible. Because Final Fantasy XII is set in such a fundamentally exotic location, it’s also an absolute feast on the eyes. Primitive as it is on a technical level now, the actual aesthetics, use of colour, and character design are timelessly artful – from the depths of the city bazaars right through to the most dark of crypts and blasted wastelands. We’ve already seen that the best PlayStation 2 games hold up really well when they are simply upscaled on to the PlayStation 4 “virtual console.” We’ve already seen that Final Fantasy X and X-2 look great when remasterd for the new generation of consoles. Final Fantasy XII is a far more visually complex game than anything else we saw on the PlayStation 2; this would look spectacular on the newer consoles. 3) The gameplay is just so darn interesting. I know the actually gameplay drew mixed responses from people back in the day. Being very MMO like, with a heavy emphasis on cooldowns between attacks, there was a methodical pacing that put people off if they were coming to it as an action system. The targeting arrows that popped up over the heads of characters also tended to put people off, looking too complex and abstract at times. 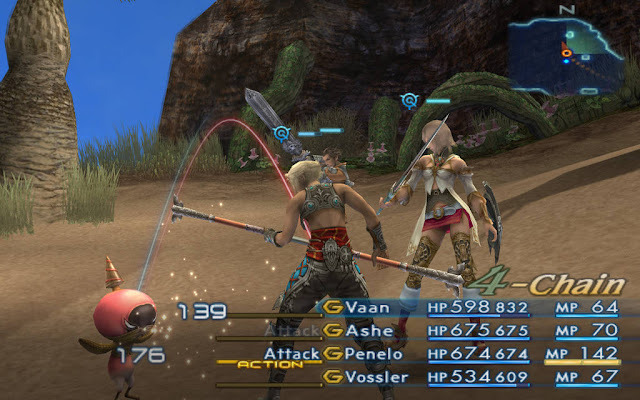 But in Final Fantasy XII we also saw the start of a combat system that would inform everything from Final Fantasy XIII to Xenoblade Chronicles on the Wii. It was strategic, the difficulty scaled well to maintain challenge throughout, and boss battles felt suitably epic. As a bit of a historical artefact, I think Final Fantasy XII deserves a re-release, as it’s more important for the development of the JRPG genre than anyone gives it credit for. 4) The characters are amazing. Princess Ashe remains, hands down, my favourite lady in the entire Final Fantasy series. I love Rikku, Vanille, Rosa, Rem and Lightning just fine, of course, but Ashe was a character I could truly love, and it helped that she was supported by such a superb ensemble. Balthier was great fun, Penelo was adorable, Vaan was a bit try hard, but certainly better than Tidus from Final Fantasy X, and Fran was the token tough girl that certainly had more personality than Lulu or Fang (sorry, I know those two have their fans too!). Point is the characters bounce off one another so well. When they needed to be heroic, they were. When there was room for humour, their personalities clashed in the friendliest way possible. Rarely have we seen a cast of heroes in a Final Fantasy game gel as well as we have with these. 5) The music is the most distinctive of all Final Fantasy games. To be honest, of all my Final Fantasy soundtracks, Final Fantasy XII is the one I enjoy listening to in isolation the least, but that’s because the music is the very real heartbeat of the game and simply doesn't work as well divorced of the in-game action. And exotic setting demanded an exotic soundtrack, and we got one in Hitoshi Sakimoto's score. The way it moves between drama and scene setting is refined and mature, and the consistency in tone helped to stitch the narrative together, even when the heroes visited some pretty out there places. A lot of people were worried when Nobuo Uematsu left the Final Fantasy series, but they need not have - Sakimoto demonstrated ably with his score that there is plenty of musical talent within the Square Enix family. The world of Final Fantasy XII – Ivalice, was used for some other games too – notably Final Fantasy XII: Revenant Wings on the DS and the Final Fantasy Tactics Advance titles. It was always a little underused as a setting – I got the feeling that Square Enix always wanted to do more with it, but struggled to unify the vision under the same umbrella as Final Fantasy XII. 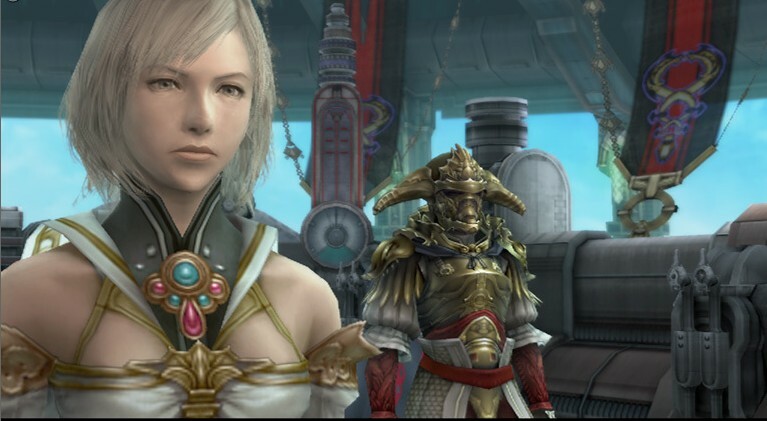 It’s probably a bit late for a full-scale revival of that setting, but at least, were Square Enix to do a HD remaster of Final Fantasy XII, which surely the publisher knows the fans want, it would be a good opportunity to return to what could have been.